The technology group FIG substitute for his boss. 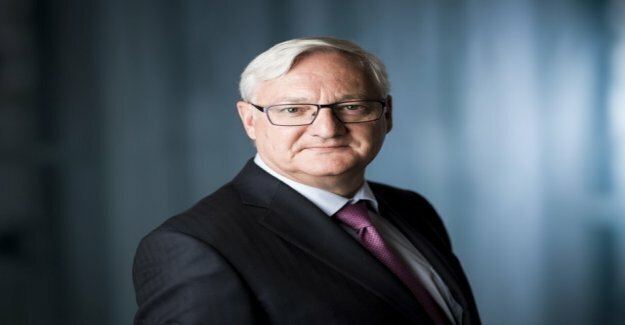 "The Board of Directors of ABB CEO, Ulrich Spiesshofer have agreed that he is resigning from his function that he had held since 2013", reports the industry group in a Communiqué. The President of the Board of Directors, and Peter Voser (61), will take over with immediate effect in addition to the Position of interim CEO. Voser is since 2015 Chairman of the Board of FIG. The search process for a new CEO has been initiated. Peter Voser was in previous years, the CFO of the company, and was for a long post as the crown Prince for the chief. Later, he moved back to Shell, where he served until 2002 as chief financial officer of a Division. Voser called on a telephone conference as the reason for the resignation of Spiesshofer a cultural change in the company. This is to be accompanied by someone who could also accompany the initiated change of strategy at ABB over the next years. Therefore, the right time to the CEO to replace, Voser said. the FIG has shown in the past December, as the company in the future. The business is divided into four divisions, including robotics & manufacturing automation, drive technology, industrial automation and electrification. The four heads of the divisions are given more Power. The electricity network business is sold, however, FIG. How long Voser at the top of the company will remain, is difficult to estimate, he said. We are now on the search for a new CEO. Ulrich Spiesshofer was in the past few years, under pressure of the activist investment Fund Cevian. They called for the splitting of the group. Already shortly after the entry of Swedish investors in 2015 they wanted to force a sale of the power network division. The business line to Spiesshofer examined the claim, and granted her a discharge. In December 2018, the requirement of Cevian-chief Lars Förberg then, it was still fact. ABB sold the power business to Japan's Hitachi. Cevian holds a little over 5 per cent of the shares in FIG. Förberg, representing himself Cevian since April, 2017 on the Board of Directors of the group. He says, "We support the strategic realignment of ABB and have full confidence in Peter Voser and the Management Team to implement the Transformation of FIG."